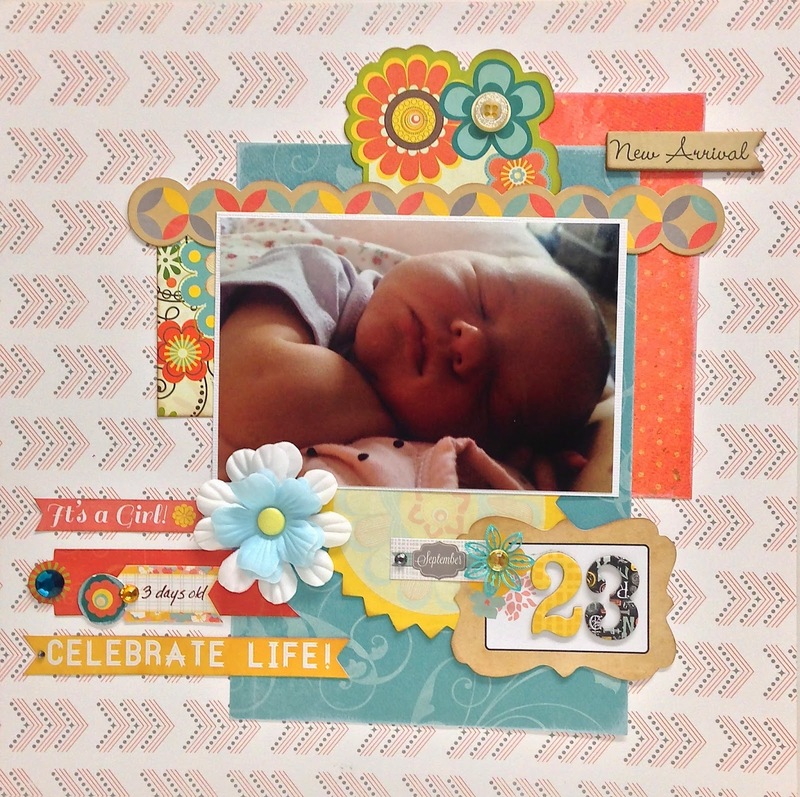 Hello there, Apryl here sharing a layout made with Bo Bunny's Baby Bump I Want It All Bundle from FotoBella.com. When I got this bundle, I couldn't take my eyes off the Ephemmera packet. It has so much fabulous goodness in it that I wanted to use all of it! So I made a layout using primarily the Ephemera along with a tutorial on how to duplicate it. 1. 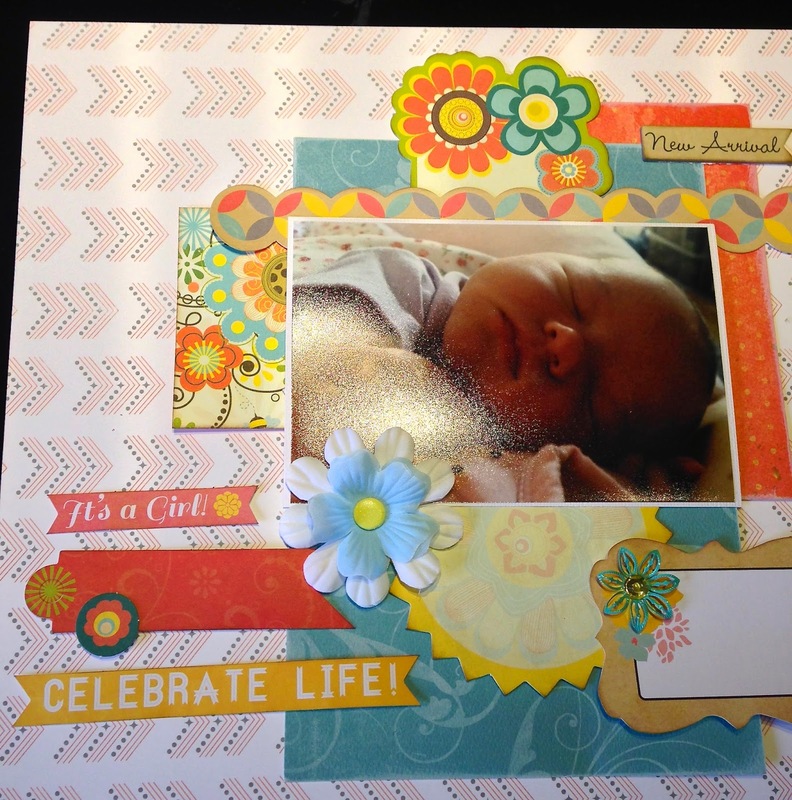 Select the Sweet Dreams paper for the base of the layout. 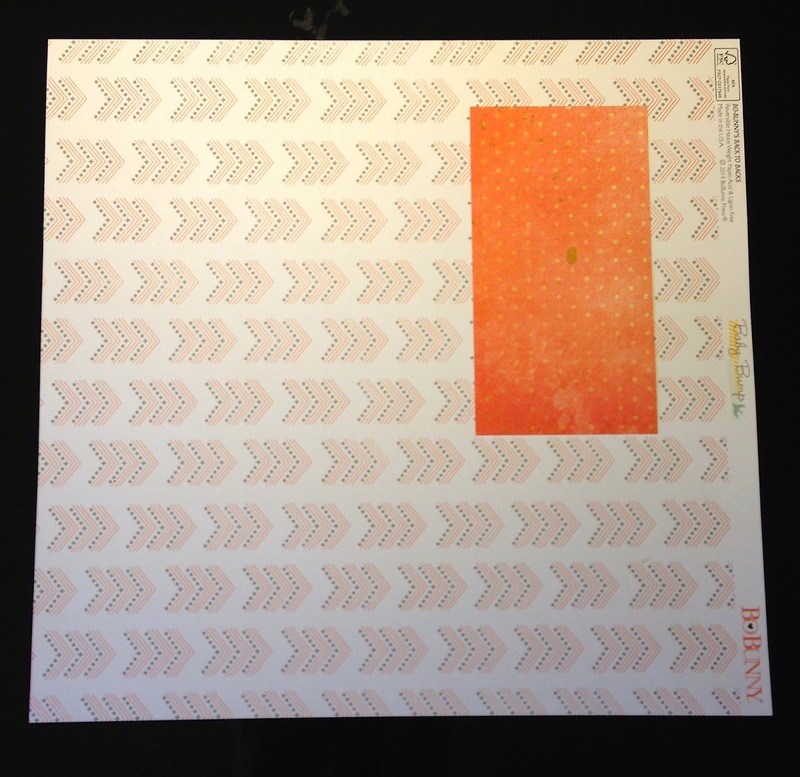 Take the orange strip of paper from the Ephemera Embellishment Package. 2. 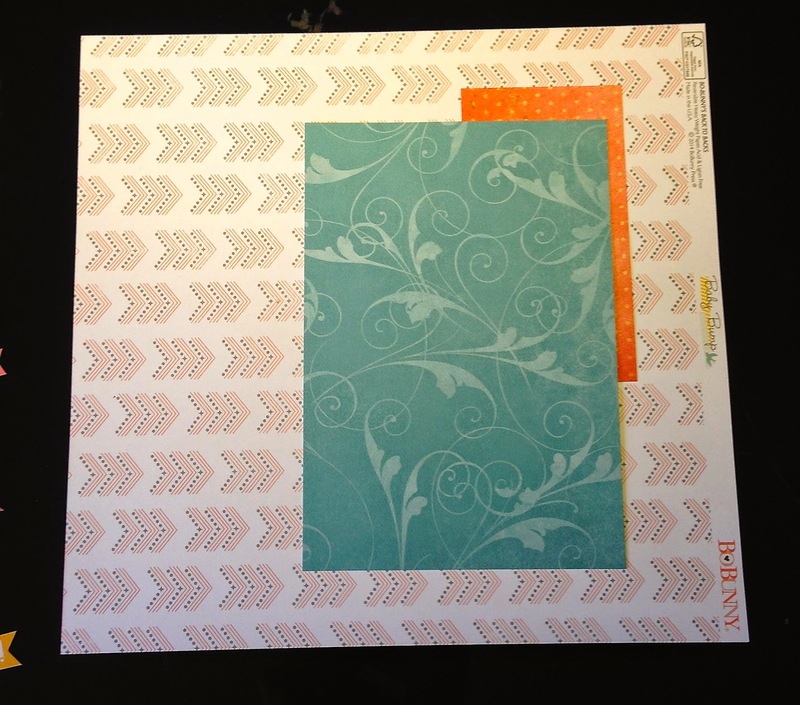 Select the blue piece of paper from the Ephemera and layer it flourish side up on top of the orange strip. 3. 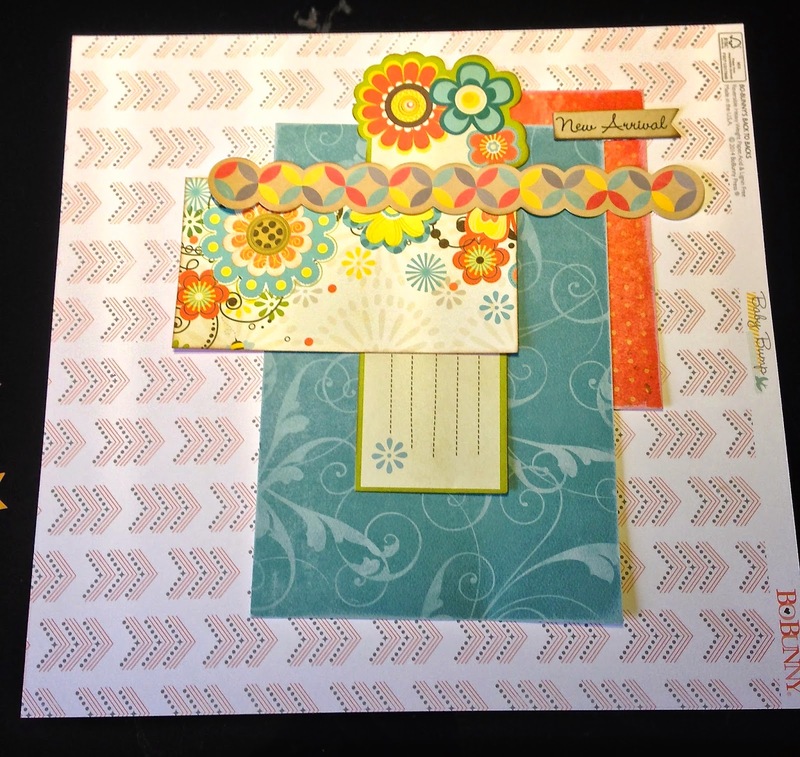 Layer the flowered journaling piece on top of the blue paper and lay the border piece across it. 4. Layer the flower paper horizontally over the journaling piece. 5. 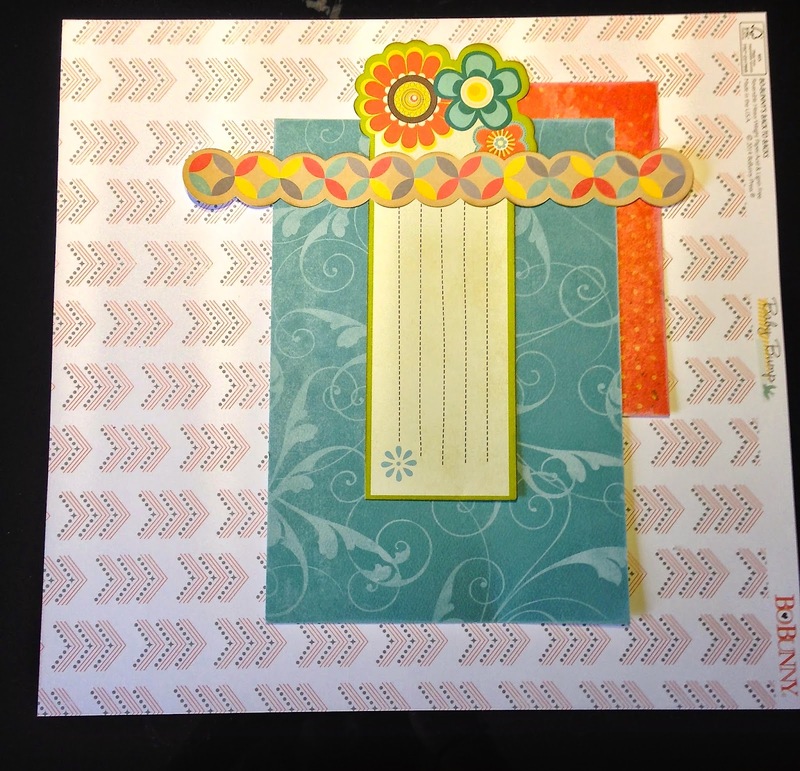 Continue to layer with the starburst shape, the journaling card on top of the blue piece of paper. Then add the red pennant, and two title pennants. 6. Continue to embellish the page using the flowers, gems and buttons from the Ephemera packet. 7. 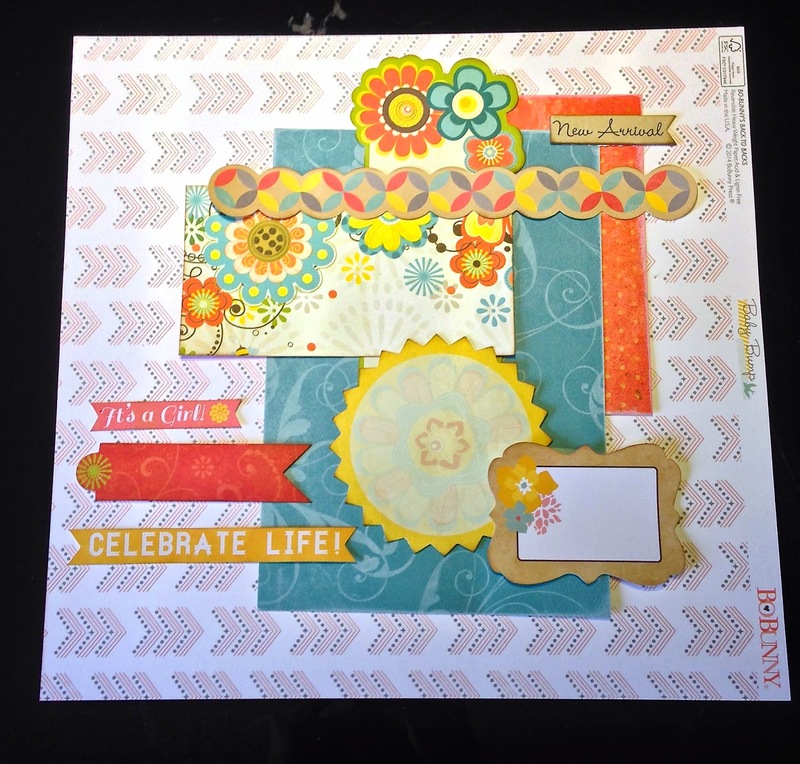 Journal or date your layout using the chipboard numbers.